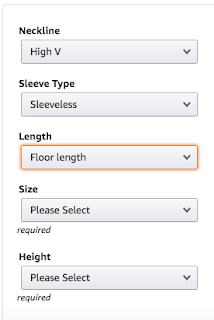 To get started, you'll want to go to the Amazon Custom Homepage . 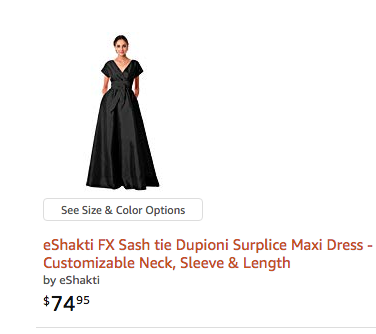 Then, type in eShatki FX in the search bar. Select your item from the search page. I chose the Sash tie Dupioni Surplice Maxi Dress to show you how this works! Then in the upper left corner, click Customize Now. A pop up box will appear with the item as it is originally. You'll be able to click on the side bar and make adjustments, usually to the neckline, length, and sleeves as well as your size and height. 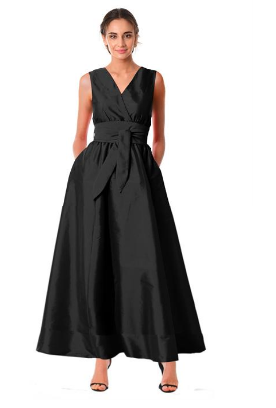 Here are the adjustments I put in for the black dress. And here is how it appears after the adjustments! How cool and easy is that? Want to try it out? 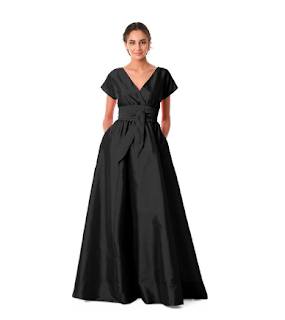 Use this code: 30FXONAMAZON for a 30% discount now through February 17, 2019! 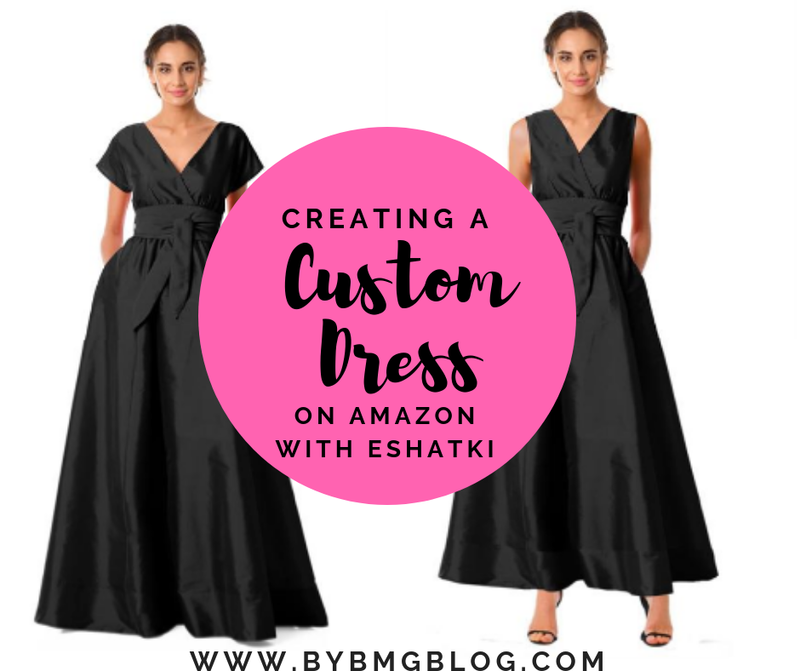 Check out eShatki on Amazon Custom and let me know what you think!